Woo hoo! 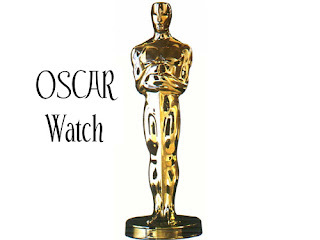 The OSCAR nominations were announced this morning. As I predicted in this September 9th post, Christoph Waltz was nominated for his supporting role in "Inglourious Basterds" and, much to my delight, "Basterds" was also nominated for best picture and original screenplay AND Quentin Tarantino for best director. Also, as I predicted in this December 3rd post, Helen Mirren picked up a nomination for best actress in "The Last Station" and George Clooney and Anna Kendrick for "Up in the Air." 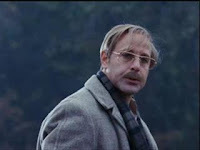 I was glad to see Stanley Tucci nominated (best supporting actor) for his creepy turn in "The Lovely Bones." I know my friend Ryan (Wordsmithonia) is probably thrilled that "Precious" and "The Hurt Locker" received their share of nominations. Carey Mulligan for "An Education"
Gabourey Sidibe for "Precious: Based on the Novel 'Push' by Sapphire"
Meryl Streep for "Julie and Julia"
Staney Tucci for "The Lovely Bones"
Maggie Gyllenhaal for "Crazy Heart"
Lee Daniels for "Precious: Based on the Novel 'Push' by Sapphire"
Is it bad if I only saw one movie that's up for best picture?? Which was Up. I've only seen District 9 and Inglourious Basterds so don't feel bad! I'll probably try to see most of them before the Oscars air. Michelle, I did see this post before I blogged about Crazy Heart. I just had to run to the store quick before I could comment. I love the OScars! Every year I watch them religiously and try to see as many movies as I can. This Year I've only seen Crazy Heart and The lovely Bones. I have a lot of work to do!! 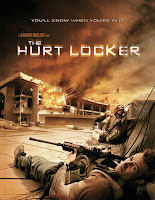 I so gunning for Jeremy Renner and Kathryn Bigelow to both win for "The Hurt Locker" one of my favorite movies. I would love both acting noms for Precious to go to them but I think Monique is the sure thing between the two. And now I know which movies to rush out to! Funny, but the Oscars are the only thing I do watch on TV. I try to see the movies that are highly recommended, yet I don't always get to them all. Have a beautiful weekend, Michelle.